The first volume in the Stage by Stage series, covering the classical theater of Greece and Rome. 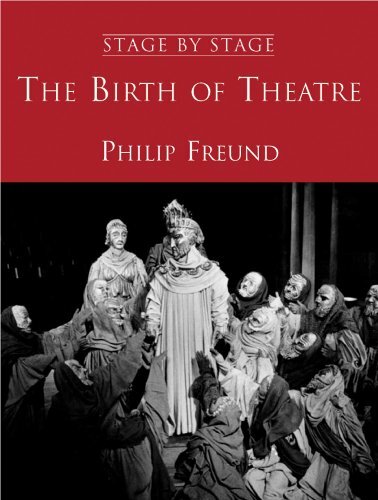 Philip Freund has spent more than 30 years writing a monumental history of the theater. The Stage by Stage series is a chronicle of world theater, from primitive rites and enactments of myths to contemporary drama, to be published in a series of volumes. This first one traces the evolution of classical drama from its beginnings in Egyptian and Middle Eastern religious ritual, and particularly the Greek mystical cult of Dionysus, through the golden age of the Periclean period in Athens and ending with the major Roman playwrights of the late Republican and early Imperial age. The book includes detailed discussions of the extant plays—tragedies and comedies—of Aeschylus, Sophocles, and Euripides. This is followed by accounts of notable productions and revivals, especially in the U.S. and Britain over the past half-century as well as earlier where descriptions or assessments are available. The book ends with a discussion of the development of Middle and New Comedy in Greece and the works of Plautus, Terence, and Horace. Philip Freund is a novelist, poet, documentary film writer, and playwright as well as essayist, literary critic, and anthropologist. He is a professor emeritus at Fordham University, New York, and he has taught and lectured on drama and related subjects at other universities.